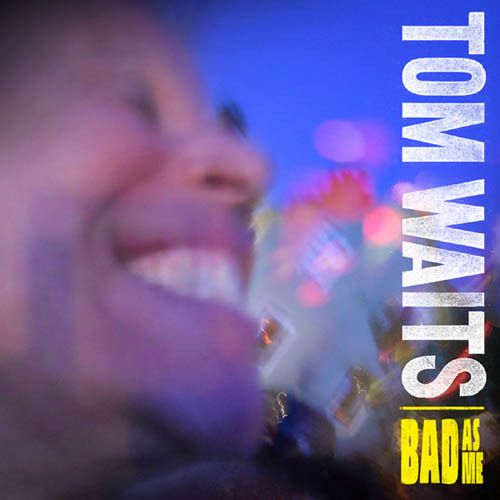 News just in from TomWaits.com, you can stream the title song from Mr. Waits’ impending album, “Bad as Me,” below. Vintage Waits, with the usual lyrical magic. Our takeaway: takes a sinner to know one. On Monday night St. Vincent performed her new song Cruel on Letterman off of her new album “Strange Mercy.” Check it out below. That’s not your average pop fare. Sort of smacks of Sufjan Stevens. Say, St. Vincent isn’t just Sufjan playing dress-up is it? After all, they’ve never been seen in one place together. Oh, wait, never mind. True Bill, so true. 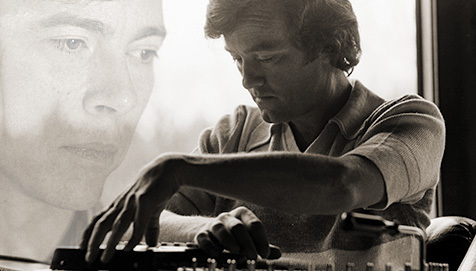 Go over to Drag City at the link above, and check further into Mickey Newbury. The New Yorker has published (at the link way below) the first extended excerpt from Haruki Murakami’s new, 1000-page novel, 1Q84, which will be released on October 25th. Not surprisingly, it appears that felines will be a quintessential part of the equation. The novel was originally published in Japan as a trilogy in 2009 and 2010. Knopf will publish the novel in the United States in a single volume on October 25, 2011. 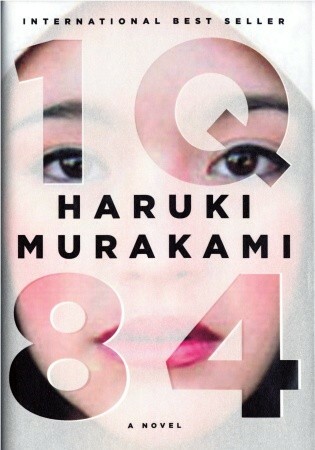 The title is a play on the Japanese pronunciation of the year 1984, a reference to George Orwell’s seminal novel. “The events of the story take place in fictionalized 1984, with the first volume set between April and June, the second between July and September, and the third between October and December. The narrative is composed of two storylines that alternate by chapter. The book opens with on character’s (Aomame’s) perspective as she catches a taxi in Tokyo on her way to a work assignment, noticing that Janáček’s Sinfonietta [Lefort: Any novel that references the great Czech composer, Janacek, in the first chapter is bound to be great.] is playing on the radio. When the taxi gets stuck in a traffic jam on the expressway, the driver suggests that she get out of the car and climb down an emergency escape in order to make her important meeting. Aomame makes her way to a hotel in Shibuya, where she poses as a hotel attendant in order to assassinate a hotel guest. She performs the murder with a tool that leaves almost no trace on its victim, leading investigators to conclude that he died a natural death. And that’s just the first chapter and segment of the novel. In typical Murakami fashion, the novel will undoubtedly get only more fantastical and fantastic thereafter. We’ve loved Murakami’s other-worldly novels (especially The Wind-Up Bird Chronicle and Kafka on the Beach) and can’t wait to delve into 1Q84. If you haven’t read any Murakami, we encourage you to do so. Just be prepared for lots of magic and some realism, and all as set in (mostly) contemporary Japan. Check out the New Yorker excerpt HERE. And while you’re at it, you might as well have the Sinfonietta playing in the background per below. 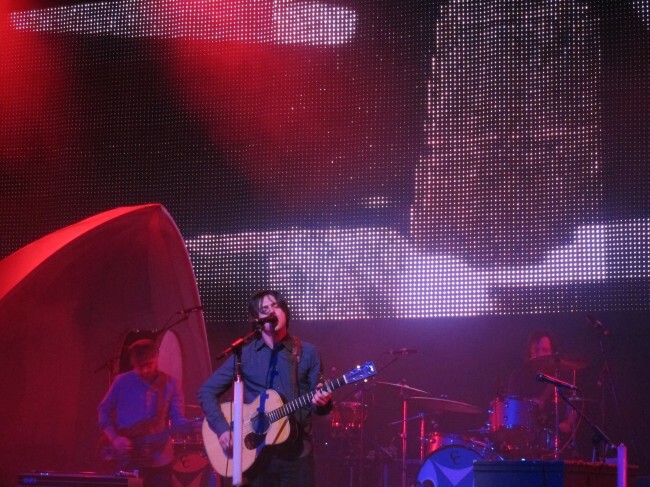 The last time we saw Bright Eyes was in April, the month of deadlines and imperatives. The usual musical drifters, who normally co-sign for the minor chord caravans, were instead casted and recovering. The die cast, in camera, we coasted south. 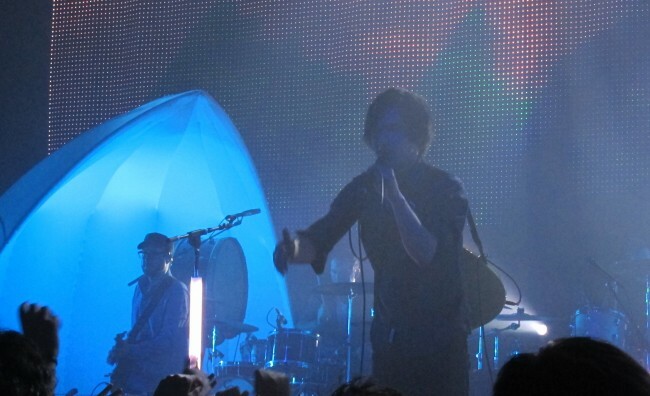 We crossed into the Inland Empire, defying our internal empirics, out-foxed by the Fox Theater and drawn by it’s blazing neon. After the strangely-standard pre-show chat with Welch and Rawlings and a rousing set by Johnny and Jenny, out came the brilliant Bright Eyes. And Conor and crew literally lit-up the Fox with death-and-taxes defying uplift, exceeding even our expectations from the solo sojourn. 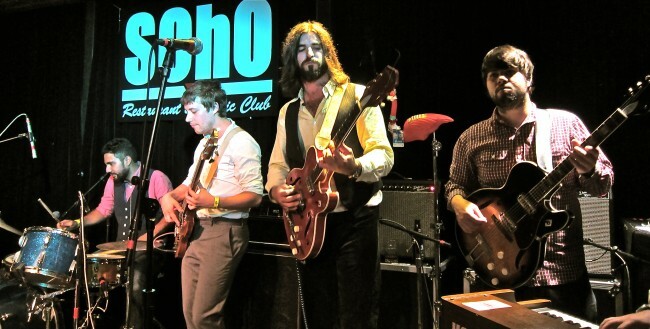 Why this particularly configured congregation (Conor, Mike Mogis, Nate Walcott, drums, keyboards and horn players) brings out the best in Conor Oberst, we’ll leave for the musicographers to decipher. 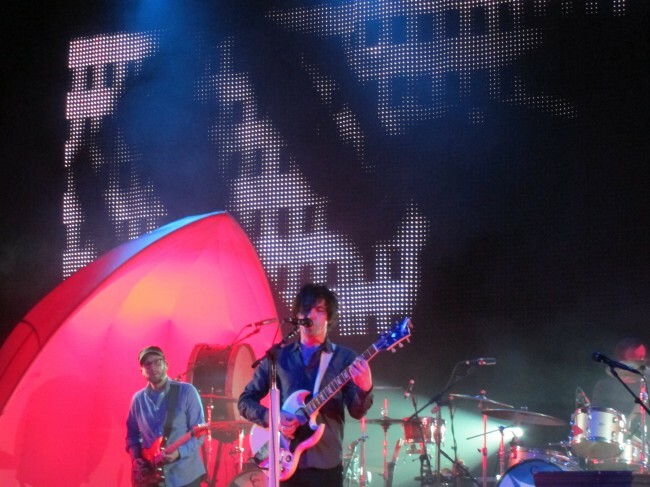 Suffice it to say that at the Santa Barbara Bowl on September 25th there will be beauty and brightness. There will be so much brightness that you will think at times that you’re listening to circa-70s Cars on a song or two. Don’t miss it. 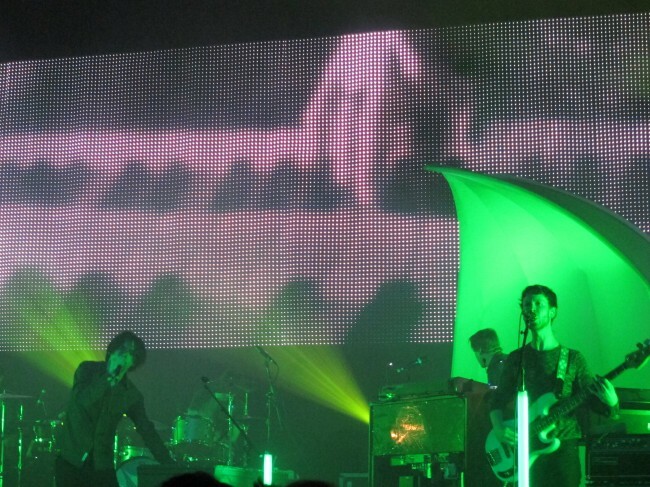 Below are more pictures from the April show, the set list, and a couple of videos to check out. We’ll see you on the 25th. 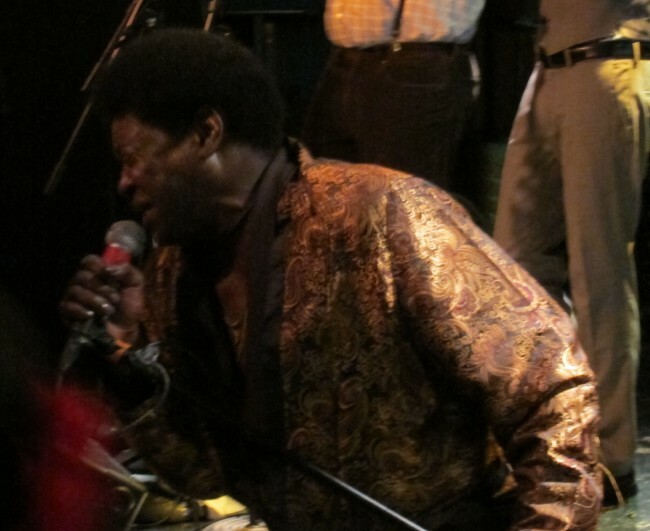 While you were sleeping last night, or whatever else it was you were doing instead, Charles Bradley and the magnificent Menahan Street Band scorched and seared the stage at Soho. Seriously, you’ll have to check with the fire department to see if Soho will be open for business tonight (checked: they’re open), the heat was turned up so high on stage. Charles and Band put on one of the best performances of this or any other year. Otis, James, Wilson–others have come and gone–but we haven’t cottoned to any previous live R&B rave-ups (well JB was pretty entertaining, but with a serious ‘tude) as much as the love-fest that Bradley and Band brought to Soho last night. With regal revenants from Chess Records, Muscle Shoals and Stax Records seeming to slip and slap through the sound system, Bradley and the Menahans brought the musical gospel of soulful love. There are others who are tapping into this old soul source anew (Sharon Jones, Amy RIP, etc. ), but Bradley’s offering seems to our ears so much more authentic, heartfelt and lived-in. 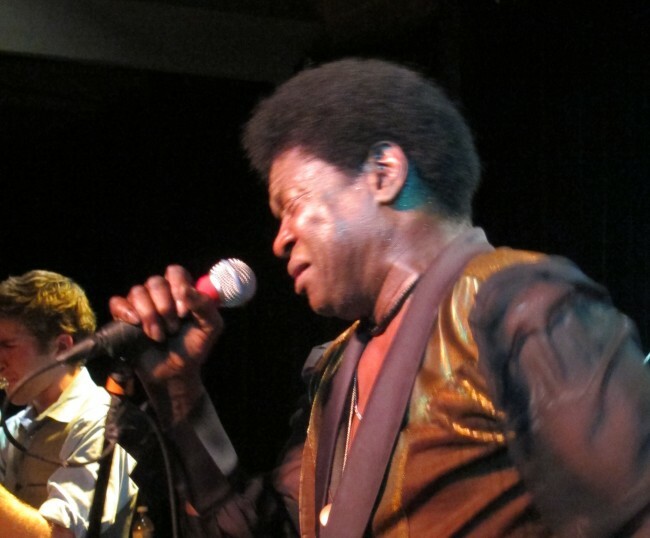 If you haven’t read his heart-rending bio, suffice it to say that Charles Bradley has paid a life’s worth of dues (according to an interview with Josef Woodard in the Newspress, Bradley still lives in “the projects” in New York City with his mother and sister), but now at 62-years of age he’s been given a new lease on life (with options). 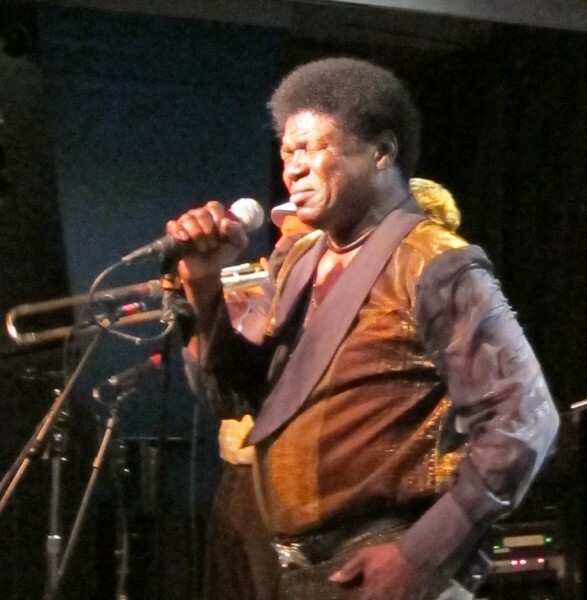 Thanks to Daptone Records and gifted songwriter/guitarist Thomas “TNT” Brenneck (leader of the Menahans), this year Charles released his first album (the hardened “No Time for Dreaming”) and has since been taking the world by Irene in concert. And so it was last night at Soho. The Menahans came out and warmed the crowd up with a couple of soulful instrumentals, and it was clear that this was a top-shelf R&B band. With duel-guitars, organ (manned by a fine Felix Pappalardi look-alike who also functioned as the MC), drums, bass, trumpet and trombone, the band filled Soho with a sweet soul sound. And yet they did so with subtlety and restraint, not yielding to the temptation to needlessly bray and brawl like others that will go unmentioned. And then Charles came out, and it was bedlam from the first sung note. And the feeling was mutual. 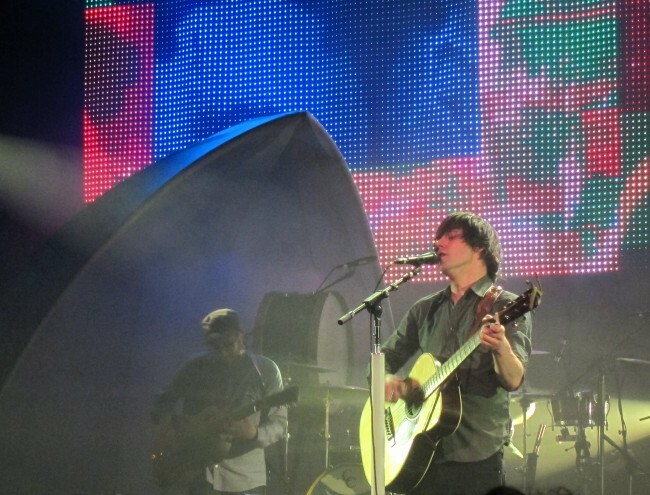 When Bradley saw the large, adoring crowd he was overcome with emotion (he seemed in joyful tears a good portion of the night), and thanked the crowd repeatedly, vowing his love for them. Charles and the Menahans proceeded to embroil the crowd in a great set of songs comprised predominantly of songs off the album, but also a couple of b-sides and a great cover of Neil Young’s Heart of Gold, which you can check below. At the end of the 90-minute set, while the Menahans continued to smolder on the stage, Charles came down into the audience to express his gratitude by handing out hugs throughout the audience for a good 10-15 minutes. If you weren’t careful, it could choke you up. It’s rare to see that kind of grace and joy from musicians, and the gospel of love delivered so convincingly. 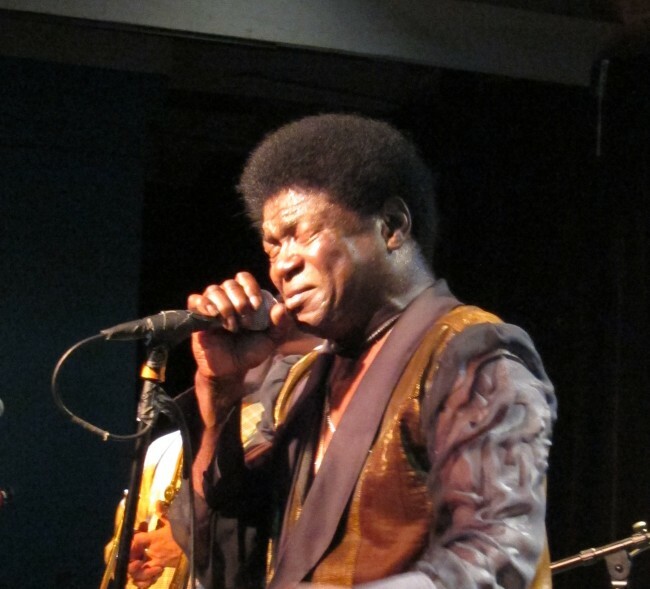 The next time you have an opportunity to see Charles Bradley and the Menahan Street Band, skip the sleep and the supper, and get ye to the show. To quote Bradley: “There is no more time for dreaming, just time for singing, dancing and loving.” Amen. And thanks to Club Mercy for yet another all-time event. Check out The World (Is Going Up in Flames), Heart of Gold, and How Long below from Soho (we apologize for the sound). And then make sure you venture over and buy his album HERE and check out the interwebs further for ever-accumulating video examples of the great Charles Bradley and the Menahan Street Band. We have a newfound love: Grouplove. We happened upon the band on a Carson Daly Show repeat. There we were just minding our own business, checking out Charles Bradley’s touching interview with Carson (Bradley killed with love at Soho last night–more on that soon), and then we scrolled forward and got completely tangled up in Grouplove. 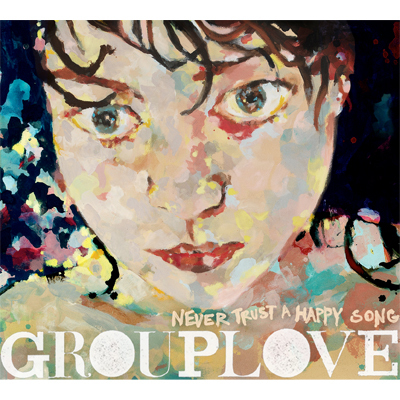 Every line rang true like it was written from Grouplove to us (‘cept that “weed” part). So far there’s nothing we don’t love about ’em (though the bass player’s look took us aback initially, and the drummer’s tony tank tops are a bit much). Let’s start with the vitalic vocal tics and lyrical bent of co-leader Christian Zucconi, who vocally has shades of Modest Mouse’s Ian Brock. Then mix in the Mates of State/Hole vocal fashions and perfect harmonizing of co-leader Hannah Hooper. This is a duo that was born to sing together. And they hit it HARD. Their first album, “Never Trust a Happy Song” (ya hear that, Matt & Kim? ), will be released on September 13th, and they open for Two Door Cinema Club at the Wiltern on September 22nd. Following the videos below go over to Daytrotter and check out their recent session there. For a visual introduction, check out the interview and performance of Colors on Carson Daly. Then check out the assault on the Gold Coast, with the Hole-ish harmonies. And finally check out the hyper-catchy Naked Kids. The venerable folks over at Paste Magazine have put up a cool video of The Civil Wars’ cover of Elliott Smith’s song, Between the Bars, at the Newport Folk Festival. 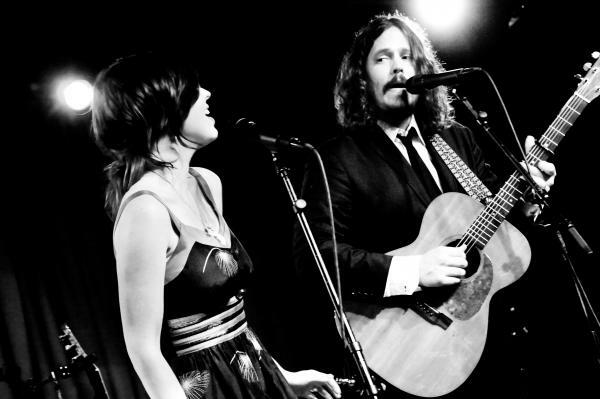 The Civil Wars have been garnering huzzahs on all fronts from their live performances (including on Prairie Home Companion), and they are coming to the Lobero on November 18th, courtesy of Club Mercy. Check out the Newport Folk Festival video HERE. You can also sample their wares here on this Takeaway Show video. And finally, here’s another fine version of Between the Bars. We know a fair number of animation addicts out there (inclusive of yours truly). The beguiling band, Cloud Cult, has just released yet another animated music video for their song, Unexplainable Stories, from Cloud Cult’s 2010 album “Light Chasers”. Cloud Cult has a very interesting (and despairing) backstory filled with extreme highs and lows. We have loved much of their discography, though it is not for the faint of heart. Their songs have been amongst our favorites over the last few years, and Light Chasers had some of the highest highs of last year. This particular video for Unexplainable Stories was created by Jon Thompson. Check it out. Below are are some older animated videos from the same album of last year. First off, check out the official music video for You’ll Be Bright from the album. Finally, check out their animated music video for Running with the Wolves. Check it out. If you missed it, below you can check out Stephen Malkmus & the Jicks‘ in-store performance yesterday at Amoeba Records in Hollywood on the day their new album, “Mirror Traffic,” was released. The album is highly recommended.